With data and identity theft on the rise, securing corporate information has become a growing concern. Shelby Security now offers a full array of data security services including offsite data back-up, secure document storage and shredding. Providing Security for Over 30 years. 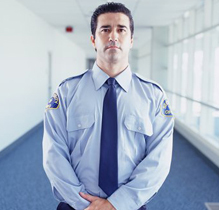 Shelby Security is the Mid-South’s complete security solution resource. From protecting physical property to securing printed and electronic data, Shelby Security’s dedication to professionalism vigilance ensures your company receives the highest level of security protection. The strength of Shelby Security’s success is in the quality of their people and their relationships with our clients. With an average of 15-years of law enforcement experience, Shelby Security’s supervisors interact daily with clients enabling them to quickly identify criminal trends or suspicious activity. Their proactive approach minimizes incidents and increases customer satisfaction.